All repair services are covered by two inspecting agencies. First is ISO 9001:2015, audited annually, this is important because Eastland’s policies procedures are fully documented. From the proper forms to use to safety policies to tracking all data before, during and after a repair. Second, EASA Accredited AR-100. This is a complete inspection and audit of exactly how all Procedures are performed following a national standard set forth by the Electrical Apparatus Service Association. A third party auditor is engaged to evaluate and guarantee that all tools are properly Calibrated, materials being used are of top quality and written procedures are followed in all repairs. 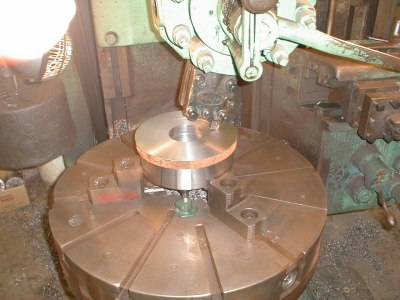 Eastland manufactures custom parts for all types of equipment. 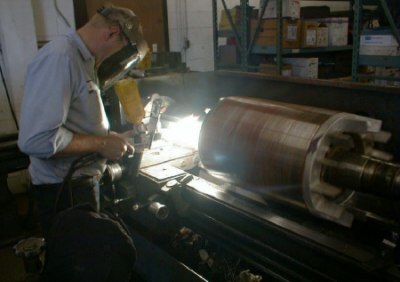 Welding shafts, journals & machining to factory specifications. Great care is taken to preserve integrity and efficiency. Old coils are removed after roasting in a properly controlled oven. Probes are inserted into the core, recording on paper, complete temperature cycle guaranteeing maximum efficiency. After glass bead cleaning, core test is completed to insure integrity of core. Random wound coils and form wound coils are properly installed for factory required operation. 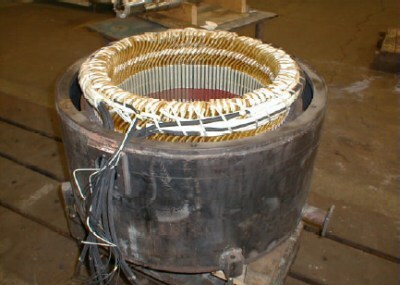 Form wound coils have been inserted in the 350HP stator. All leads are TIG welded rather than soldered for better conduction properties. 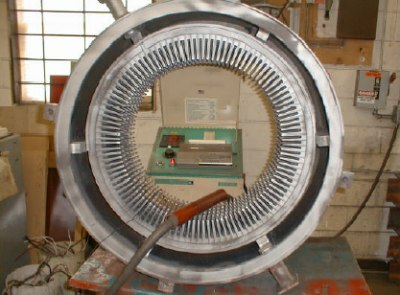 Eddy current clutch drives are very reliable on line, but do require qualified technicians to repair when problems occur. EASTLAND INDUSTRIES is an Authorized Service Station for Dynamatic Corp. (formerly EATON), Louis Allis and Sterling Electric Motors.